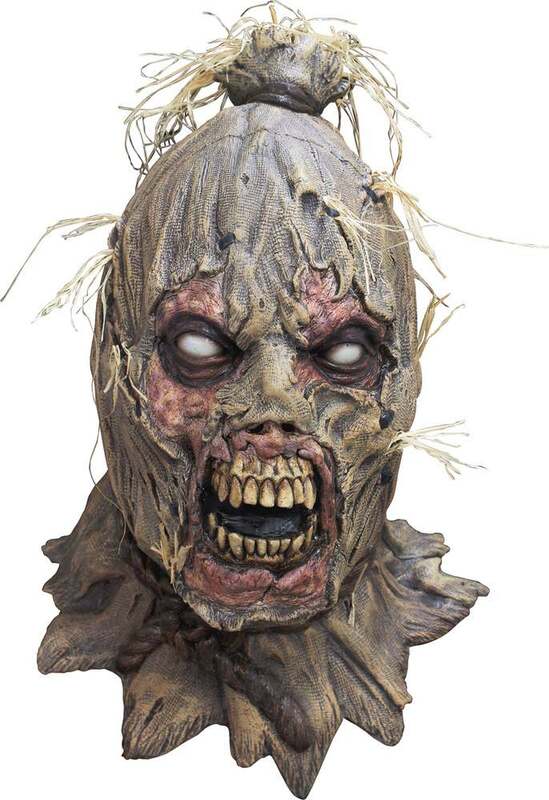 Scareborn is a gruesome scarecrow mask that is sure to scare the yell out of whoever sees you in it. Full over-the-head latex mask with pieces of hay-like material attached. Individually hand-painted for an amazingly realistic look. One size fits most adults.